If you’re a fan of theme parks, it’s worth taking the train to Disneyland Paris next time you’re in Europe. Disneyland Park, the original theme park at Disney’s Paris resort, might be the most beautiful version of Disneyland in the world. From its immaculately designed Main Street USA, to its unique spin on Tomorrowland (a steampunk-ish area known as Discoveryland), to perfect versions of Frontierland and Adventureland, Disneyland Park captures everything that makes the original Disneyland so powerful, but in a park that’s more deliberate and unified in its design and theming. It might not have the history or number of attractions as Walt’s park in Anaheim, but Disneyland Park is gorgeous and charming in ways even the original can’t match. It also has some pretty fun rides. Here’s what we think you should prioritize during a visit to Disneyland Park. Some of them will sound familiar if you’ve been to the American parks, but there are usually enough differences (either in experience or aesthetic) to make Paris’s versions feel unique. And the best ride here is a truly one-of-a-kind attraction that unites classic Disney tricks with a bewitching new storyline. 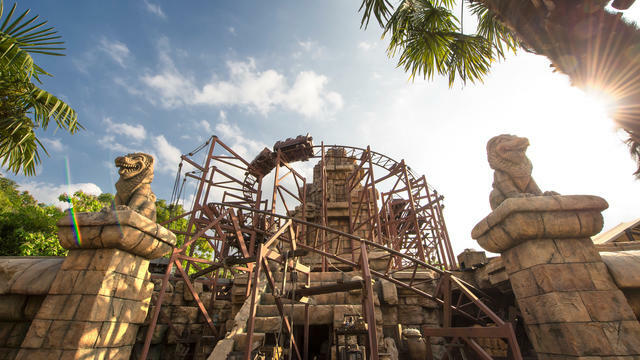 This isn’t the Indiana Jones ride you might be familiar with from Disneyland or Tokyo DisneySea. This is a relatively straight-forward roller coaster with a loop, themed as an out-of-control mine cart barreling through an abandoned temple. If you’ve been to Tokyo DisneySea, you might have ridden Raging Spirits, which is essentially the same ride with a slightly different theme. The design of the ride itself and the expedition camp that makes up the queue looks impressively ramshackle, but it feels a bit slight and undercooked for what is clearly supposed to be a major Disney attraction. It’s a fine coaster, but it can’t compare to the other two at the park, Big Thunder Mountain Railroad and Space Mountain. There’s no Tom Sawyer Island in Paris. (There’s barely a Tom Sawyer Island in America anymore, either.) 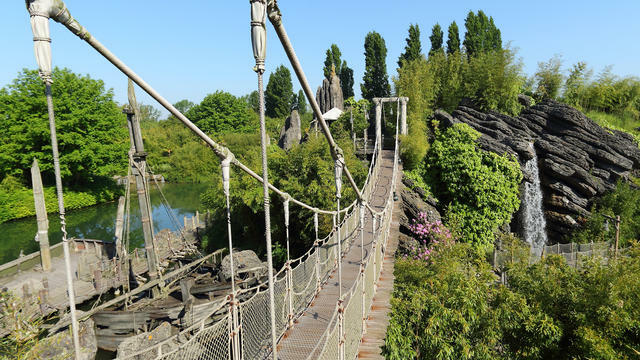 Instead Disneyland Park visitors can explore Adventure Isle, an elaborate walk-through exhibit beneath (and around) the park’s version of the Swiss Family Treehouse. You can get lost in the winding network of caves at the tree’s base that includes the family’s cellar, and sproing your way across the Floating Bridge. Elsewhere Captain Hook’s Pirate Ship is docked on the island, right beneath the stony visage of Skull Rock, in what is both a reference to Peter Pan and a reference to classic attractions from Disneyland’s original Fantasyland that were removed in the early 1980s. This is one of several different walk-throughs at Disneyland Paris, almost all of which are miniature master classes in themed design. Like (almost) all of Disney’s so-called “castle” parks, Disneyland Park features the iconic Mad Tea Party spinning tea cup ride. It also has a second attraction themed around Alice in Wonderland, though, and it’s not the dark ride you can find in Anaheim. 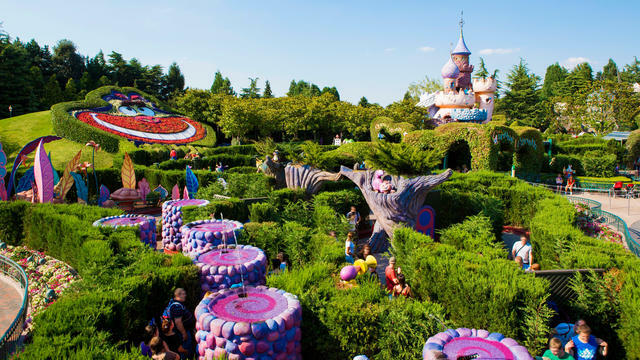 Alice’s Curious Labyrinth is a whimsical hedge maze that can be explored at your pace. You don’t have to worry about getting lost—it’s not a particularly elaborate hedge maze—but you will run into a number of animatronics and statues of various characters from the movie. You’ll turn a corner and see the Cheshire Cat up in a tree, grinning maniacally at you, or be walking past a hedge when Queen of Hearts jumps out at you, screaming for your head. At the center is the Queen’s Castle, where you can walk to an observation deck and view the entire maze and the rest of Fantasyland stretching out before you. For American Disney fans, this is a novel and unique way to interact with a beloved classic, and the maze’s design and layout lead to multiple moments that both charm and surprise. On the outside Disneyland Paris’s Space Mountain is the most beautiful version of the ride at any of the Disney parks. Instead of the retrofuturistic white dome seen at Disney World and Disneyland, this gold, blue and brown assortment of plates and rivets looks like something out of a Jules Verne story—specifically From the Earth to the Moon, on which the ride was originally (loosely) based. 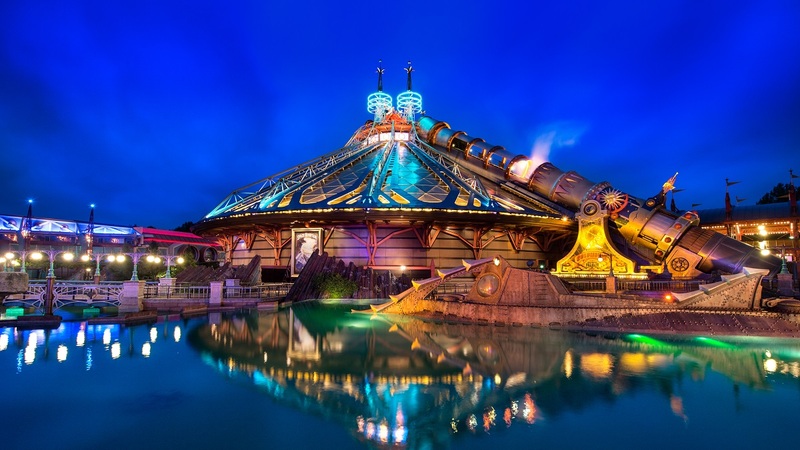 It still has that steampunk vibe, complete with a launch that looks like a giant cannon, even though it’s currently housing the Star Wars-themed overlay Hyperspace Mountain. The physical thrills of the coaster are the same as before, and that gorgeous exterior is still an amazing sight (especially at night). Even though I love Star Wars, though, Hyperspace Mountain is a disappointment. It awkwardly shoehorns something that doesn’t belong into what was once a unique version of one of Disney’s greatest rides. Yes, it’s fun, and that iconic Star Wars music will always hold tremendous power, but it’s hard not to ride this today and imagine how great this experience must’ve been when it was more appropriately themed to both the Verne-influenced Discoveryland and Disneyland Paris as a whole. Disney fans of a certain age will probably always mourn the loss of Disney World’s 20,000 Leagues Under the Sea ride. It’s nice to hear the ride audio when you order a Nautilus at Trader Sam’s, but it’s no substitute for the ride itself. 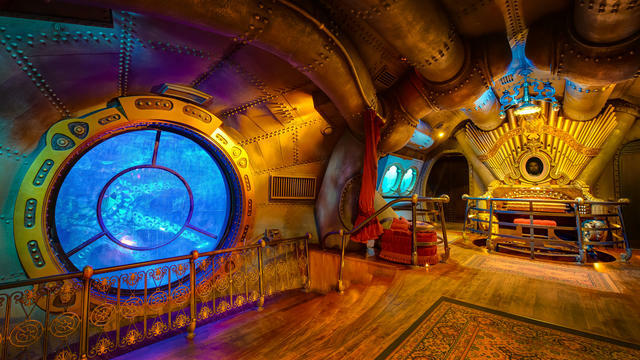 Paris doesn’t have the beloved submarine ride, but it does have a beautiful walk-through exhibit that’s also based on Disney’s classic 1954 adaptation of Jules Verne’s novel. 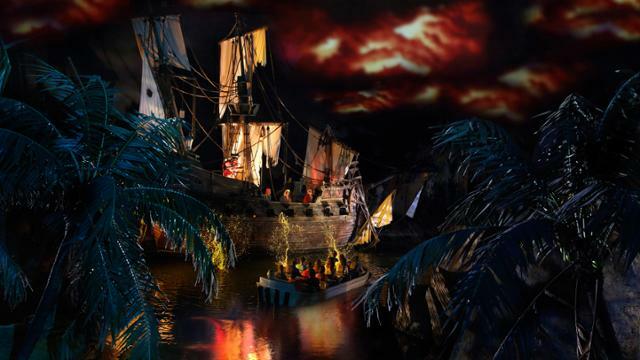 It recreates various sights from the movie’s version of the Nautilus, from Captain Nemo’s private chambers and map room, to an engine room full of smoke effects and whirring machines. The highlight is the Main Salon, where Nemo’s organ plays in a corner (complete with James Mason’s face occasionally appearing in the mirror above it), and a giant squid audio-animatronic writhes menacingly outside a large porthole. You’ll feel like you’re actually in the Nautilus, only one with a lot of room to move around and not the cramped little submarines of the old Magic Kingdom ride. There’s not much to this walk-through exhibit, which is tucked away beneath Sleeping Beauty’s Castle. It’s a short, dark cave, with a single audio-animatronic at its center. It happens to be one of the most impressive and lifelike audio-animatronics you’ll ever see, though, which makes this an absolute must-do on any Disneyland Paris trip. A slumbering dragon awaits within a murky bog, occasionally stirring to raise its head and roar at the people spying on him. Smoke curls around its body as its eyes scan the cave, sometimes seeming to look directly at you. It doesn’t do much else, but it’s an amazing piece of technology, and the kind of immersive world-building note that Disney has traditionally done better than anybody else. 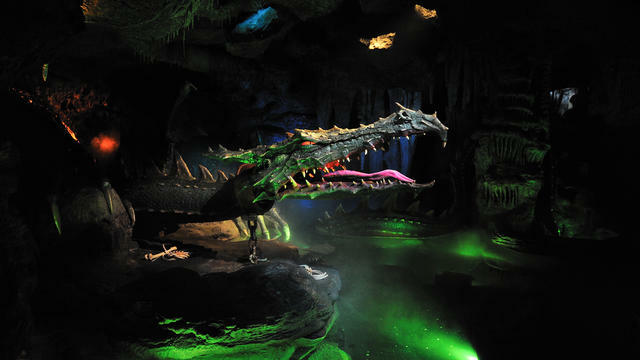 By this point my love for this much-mocked ride should be well-known to anybody who reads Paste’s theme park coverage. 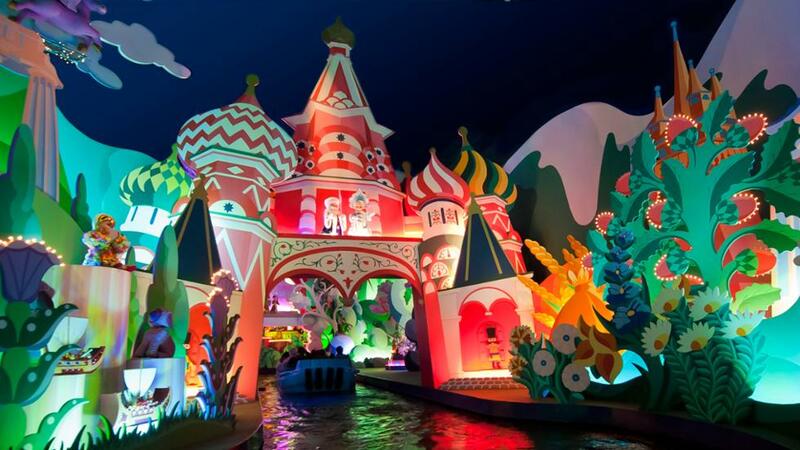 It’s a Small World isn’t just an adorable and poignant vision of world peace (with, uh, some uncomfortable stereotypes along the way); it’s a fascinating musical experiment in repeating a single melody on a variety of instruments and in a variety of styles. The Paris version has many subtle differences from the original in Anaheim, from different world landmarks to a unique section focused on America, but unlike Orlando’s version it’s still based in a beautiful clockwork building similar to the original. Since this ride succeeds almost entirely on aesthetics and the whimsical designs of Mary Blair, that’s a crucial distinction. Paris’s version of Disney’s famous coaster might not have Dynamite Goat, but it does have a goat stealing a shirt from a clothesline, and that’s definitely something. It’s hard to pick a best Big Thunder, as all four that currently exist are on a similar level of thrills and theming. Paris’s probably gets my nod, though, because of how it fits into the larger Frontierland. Frontierland at Disneyland Paris isn’t just a collection of attractions with a similar theme; it’s a unified thematic experience within the Old West town of Thunder Mesa, with every attraction, store and restaurant built to tell a single story. This Big Thunder looks a bit older and more ragged than the other ones—the trains are specifically designed to appear worn down and rusty—and that adds to the sense of danger you should feel from a runaway mine train ride. Like so many Westerns, this version of Frontierland is about loss, about an old way of life that’s dying and being replaced by something else, and Big Thunder proves that you can support narrative concepts like that through a roller coaster. Some Disney fans consider the Paris version of Pirates of the Caribbean to be the best in the world. I’m not sure if I agree, but it definitely beats the abbreviated one in Orlando. It feels like a weird remix of the Disneyland original, or even a mirror image of it—the final scenes in Anaheim are the first ones you see here, and the Dead Man’s Cove grotto is saved for the end of the ride. The meat of the attraction is very similar to what we have here in America, with the same scenes in the city siege portion (including the newly redone auction scene), only everything is in French instead of English. I’d still rank the Anaheim version ahead of this one, but there’s no arguing that Paris has the better show building and queue; instead of standing in a bare courtyard, like the Anaheim ride, you find yourself exploring the long, winding corridors of an imposing fortress. Disneyland Paris’s trademark attraction is in the midst of a long refurbishment, and I can’t wait to see what the retooled version will look like. It’s already the best and most beautiful ride here, a fascinating twist on the classic Haunted Mansion concept that’s a little bit scarier and more serious than its American cousins. 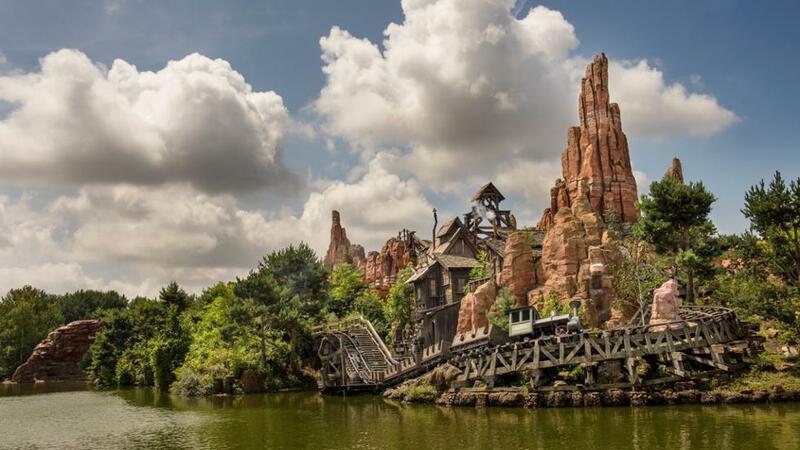 The Frontierland in Paris is one of the most ingeniously designed areas of any Disney theme park, with an overarching story that touches pretty much everything within. 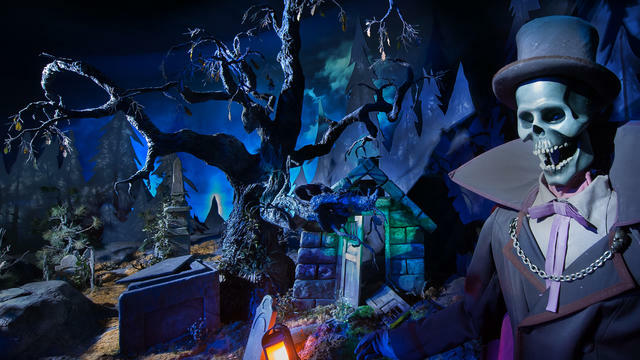 It all culminates in Phantom Manor, which seamlessly weaves a ghostly story of loss and familial distress around familiar set pieces from the original Haunted Mansion. If you’ve never been to Disneyland Paris before, don’t plan a trip unless you know Phantom Manor will be open. It’s the park’s true icon and centerpiece. Also check out our guide to the best attractions at the Magic Kingdom. Garrett Martin writes about theme parks for Paste and also edits its games and comedy sections. He’s on Twitter at @grmartin.